This Calgary Massage Clinic can assist you with the different challenges in life. 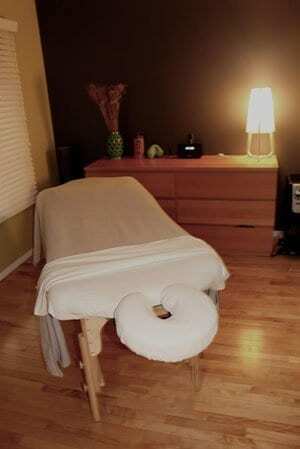 Massage Therapy can help relieve stress, muscle pain, injuries and more. Your body functions so much better when you are in top condition. Sports injuries, household accidents, repetitive actions on the job, and tension from everyday stresses can all cause problems that, too often, take up permanent residence in patients’ bodies. Therapeutic Massage can help. Whether it be for the treatment of injury or for stress reduction, the Calgary Massage Therapists at Back & Body Health can help relieve pain and tension, and get you back to your every-day activities. Calgary Massage Therapy gift certificates are available for any occasion such as Christmas, Mother’s Day, Father’s Day, Anniversary or Birthday. Calgary Massage Gift Certificates can be given in 30 minute, 45 minute, 60 minute or 90 minute packages. They are a great way to introduce someone to the benefits of deep tissue Therapeutic Massage Therapy.